Bed Bug Fumigation Specialists (BBFS) is the Bed Bug Extermination company that provides safe, confidential, affordable, convenient and 100% effective bed bug extermination using Douglas Products Vikane® Fumigant. BBFS specializes in off-site fumigation (the process of holding a calculated amount of gas and time for a specific target pest (bug) in a contained space) exterminating – Bed Bugs and their Eggs, Clothes Moths, Wood-boring Beetles, Carpet Beetles, Termites, Cockroaches and other pests. This is achieved in a truck, container, vehicle (car, suv or van) during the moving process or the tenting and fumigation of an entire home. This can also be perform in conjunction with pest management in-building treatment, building renovation or a complete structural fumigation service. BBFS strongly believes in Integrated Pest Management (IPM) working closely with Pest Management Companies, Canine Inspection Companies, Bed Bug Prep Companies, Moving Companies, Residential and Commercial Property Management Companies . BBFS’s “Bed Bug Free Moving Truck Fumigation Service” is the best solution for individuals, students or families who are planning an escape from their bed bug infested residences and are hiring a moving company. For those who are Do It Yourself movers renting a truck and loading it themselves, BBFS “Bed Bug Free Rental Truck Fumigation Service” is convenient, affordable and 100% effective overnight Vikane gas off-site containment fumigation service solution for ALL of their personal belongings. The BBFS “Vehicle Fumigation“ program is 100% effective, Vikane gas fumigation service eliminating all bed bugs and bed bug eggs! BBFS will fumigate any truck, car, suv, van, sleeper rig, taxi, uber car, bus, RV, boat and any other vehicle contaminated with bed bugs! For over 50 years Douglas Products Vikane® gas continues to be the leader in residential, commercial and agricultural fumigation. Fumigation with Vikane gas is scientifically documented and proven to be 100% effective, safely dissipates from the contained area, will not stain or discolor and leaves no residue or odor behind. Vikane gas is a Non-Residual, Non-Binding, Non-Corrosive, Non-Combustible, Non-Carcinogenic, Non-Ozone Depleting true gas. Vikane gas is registered by the Environmental Protection Agency, Registration Number 1015-78. 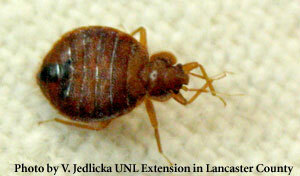 Three facts about Vikane explain its special ability to get rid of bed bugs. Vikane is effective against all life stages of bed bugs, including the difficult-to-control egg stage. There is NO resistance by bed bugs to Vikane. Vikane gas fumigant penetrates into cracks and crevices, into furniture and any other hiding places — yes, even into sensitive electronics — to eliminate the pests. Our fumigation professionals have safely completed more than 50,000 structural fumigation in our combined professional history, including over 2500 bed bug eradication in New York City alone. We are the licensed fumigators behind the elimination of New York City’s most notorious bed bug infestations, including: The Securities and Exchange Commission (SEC) – Corporate Offices, The Federal Bureau of Investigations (FBI) – New York. BBFS is a recipient of Douglas Products’ Commitment to Excellence (CTE) award for safely administering Vikane gas for thousands of customers. Companies participating in the DP CTE Program offer homeowners peace of mind knowing that highly trained, qualified professionals will solve their pest infestation problems. Thank you for visiting our website.We hope you find our site informative, educational and that you find what you are looking for, but if not, contact us.